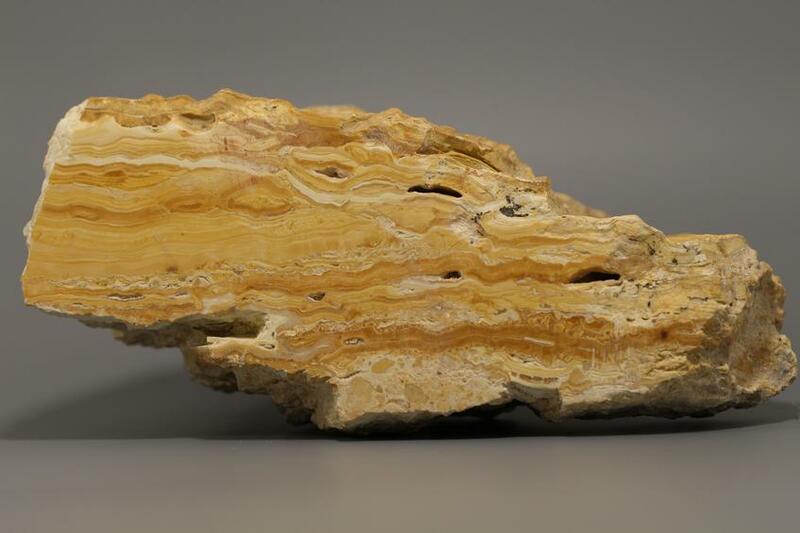 Limestone: Mineral information, data and localities. 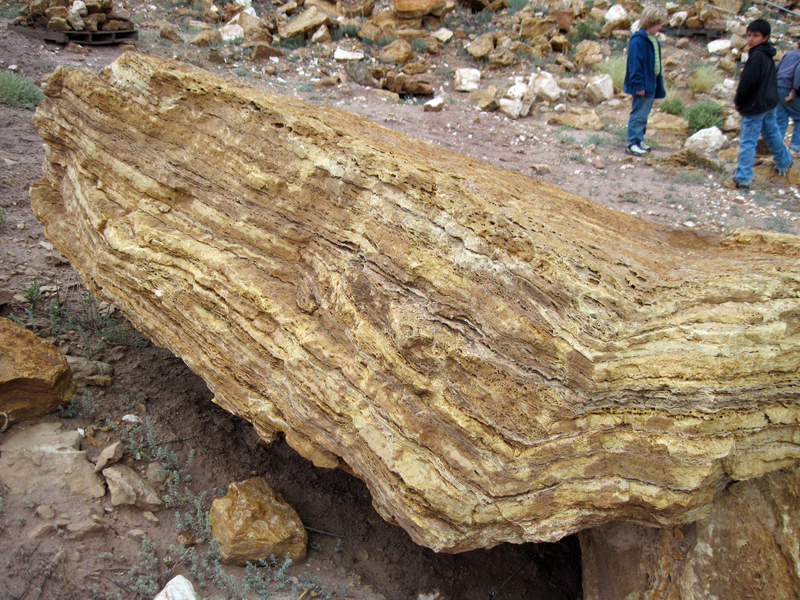 A sedimentary rock composed dominantly of calcium carbonate. i. 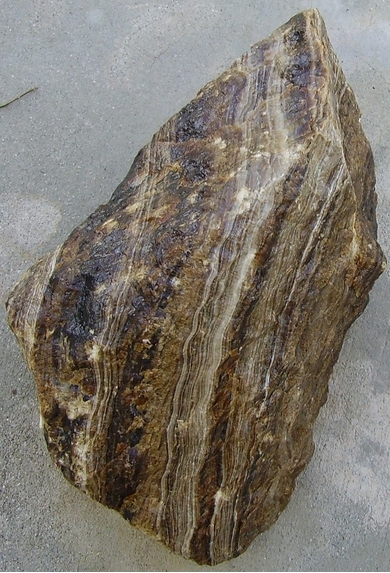 A sedimentary rock consisting chiefly (more than 50% by weight or by areal percentages under the microscope) of calcium carbonate, primarily in the form of the mineral calcite, and with or without magnesium carbonate; specifically a carbonate sedimentary rock containing more than 95% calcite and less than 5% dolomite. Common minor constituents include silica (chalcedony), feldspar, clays, pyrite, and siderite. Limestones are formed by either organic or inorganic processes, and may be detrital, chemical, oolitic, earthy, crystalline, or recrystallized; many are highly fossiliferous and clearly represent ancient shell banks or coral reefs. Limestones include chalk, calcarenite, coquina, and travertine, and they effervesce freely with any common acid.